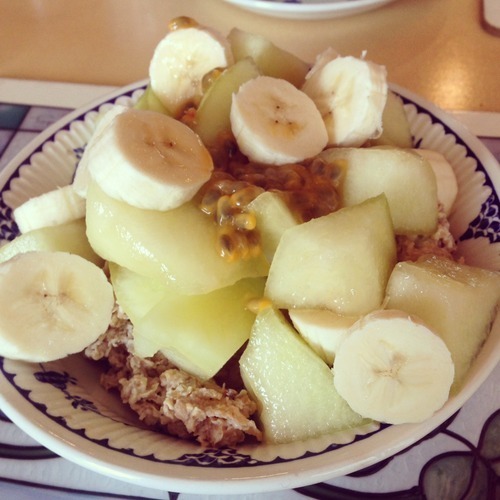 One of the biggest things I’ve learnt over the last few months is the importance of having a good breakfast every day. It kickstarts your metabolism after 12 hours of not eating, it wakes your brain up and it gives you the energy to get through the morning. I can’t function without breakfast these days! 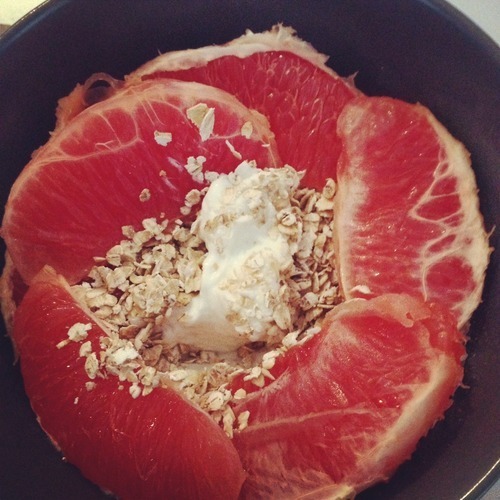 Mix the oats, grated apple, apple juice and yogurt together in a bowl, cover and place in the fridge overnight. In the morning add whatever fruit you prefer and serve. Mix together all of the ingredients and devour. 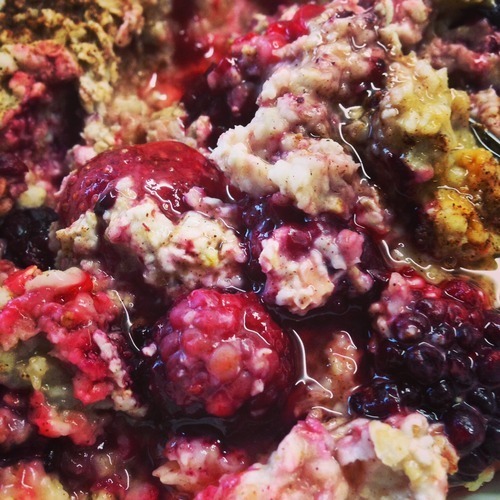 Mix the oats, berries and cinnamon together with enough water to make the mixture runny. Microwave for 1:30, squeeze on the agave syrup and enjoy. 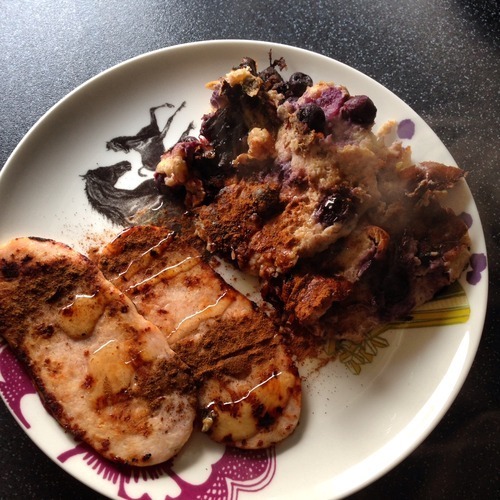 Mix the banana and eggs into a lumpy batter and stir in the berries. Cook like a normal pancake in a greased pan (I use 1 cal olive oil spray), flipping only when the top side starts to cook as well. At the same time grill the turkey bacon. Serve sprinkled with cinnamon and agave syrup.